We study the polarization properties of suspended core microstructured optical fibers (SC-MOFs) with hexagonal lattice structure and high air-filling fraction having a single gold-filled hole along the horizontal axis. 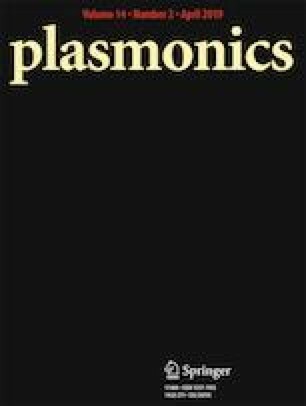 The interaction between the core-guided light and metal leads to surface plasmon resonance (SPR) at particular frequencies where the phase-matching condition is satisfied. We observe from the modal analysis that MOFs with high air-filling fraction offer the possibility of coupling of the fundamental mode with the first-order surface plasmon polariton (SPP) mode. With the increase in the suspension factor (SF), the fundamental mode couples with higher order SPP modes and the coupling strength also enhances. It also leads to an increase in modal birefringence. Reduction in beat length by an order of magnitude compared to the reported values is being reported for the first time to our knowledge. We have achieved the lowest beat length of 0.0105 mm at 1 μm wavelength for the structure having d/Λ = 0.85 and SF = 1.65. The results show that such plasmonic SC-MOFs may perform as efficient in-fiber polarizers and polarization filters. Authors would like to thank the Director, CSIR-CGCRI, Kolkata, Head, Fiber Optics and Photonics Division, CSIR-CGCRI, Kolkata and the Director, School of Material Science and Nanotechnology, Jadavpur University, Kolkata for their support and encouragement.